This is a big item with a big personality. 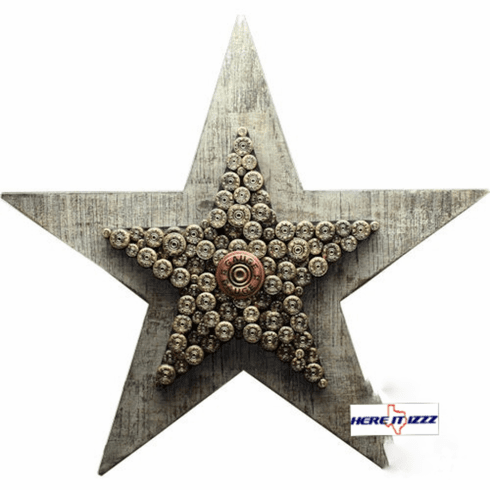 Mounted on a wooden rustic star that is almost 2 feet square Our Big 12 gauge star wall Hanging. Perfect idea to hang in the man cave our game room. Great gift for the Dove and Quail Hunter.